Discussion in 'Poultry Row' started by Lady Jane, 11/5/18. faislaq, CrazyBirdChick, Sarahmoluccan and 5 others like this. Love the music! and the chicken too! Don't think I have ever seen a chicken that was so pretty. We need some music teachers and students to chime in on this one! @Karnkate and @finchly - Ok.... do you all think the chicken really did this in order, or was she just pecking keys and someone inserted a sound track? Mysterious - but cute, cute! It looks legit to me, but also, since it's on an electric keyboard, the music could already be playing and the keys lighting up give the illusion that the chicken is actually playing the piano. By no means am I a pianist, I just started playing a few weeks ago, but judging by the keys the hen is hitting, it could be real. faislaq, finchly, Sarahmoluccan and 1 other person like this. Thanks @Brittany0208 - I am dying to hear if others think so too! Great link @Lady Jane ! We need this fun stuff! faislaq and Brittany0208 like this. The keys on the piano that she should peck light up, then she pecks the lit ones. faislaq, finchly and sunnysmom like this. Joey would have the keyboard dismantled in no time. faislaq, finchly and rockoko like this. There are some amazingly beautiful chickens, including some that are just supposed to be house pets. I met a breeder a few weeks ago who was telling me all about her chickens. And I'm semi- obsessed with Silkie chickens. faislaq, WendyN, rockoko and 1 other person like this. 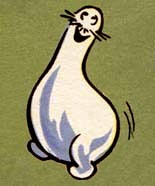 Silkies remind me of a shmoo!!!! sunnysmom and faislaq like this. Oh my goodness they. Look like .They were at the groomers. I love that! So cool because she seems to be waiting for the next one to light up so I guess she enjoys playing it. It is interesting that it seems chickens are attracted to red. I don't know that much about chickens but I know that if they see red (blood) on another chicken they will keep pecking at it. Does anyone know why? sunnysmom and Lady Jane like this. That chicken at least doesn’t have to be subjected to a drill sergeant teacher like humans do ;_;. BTW. I like silkie and brahma chickens. sunnysmom, Lady Jane and faislaq like this.